The terms sprains and strains are often used synonomously with each other, however, there is a definite difference between the two. The underlying difference lies in the type of tissues that are injured. Understanding the differences between these two injuries, the tissues involved, and the severity of the injury can be very beneficial when assessing treatment options, and recovery times. Sprains are injuries to ligaments. Ligaments are the primary connective tissue that attaches bones to other bones. All moveable joints within the body are created by ligaments and joint capsules. They attach two bones together, and provide static stability to the joint, as well as important proprioceptive feedback regarding joint position and joint movement. Many joints have several ligaments, and thus, the opportunity for several different structures that can be injured. 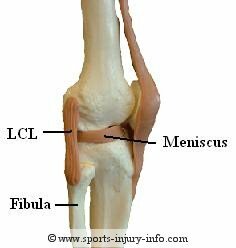 For instance, at the knee, there are four primary ligaments, the Anterior and Posterior Cruciate Ligaments (ACL, PCL) and the Medial and Lateral Collateral Ligaments (MCL, LCL). In addition to the ligaments, the knee joint is also enclosed by a joint capsule. All of these structures work together to provide stability to the joint. Strains are injuries to muscles and tendons. Muscles are contractile tissues that help to produce movement in the body. Tendons are connective tissues that attach muscles to bones. Tendons are considered non-contractile, meaning that they do not actively change length during movement. Strains of muscles are a very common sports injury, in all types of sports. Many different factors can lead to muscle strains, including improper warm up, poor flexibility, overuse of the muscle, poor biomechanics, and many others. The severity is generally classified by a number, from 1-3. The severity is determined by the amount of laxity, or looseness, present within the ligament or joint capsule. This is determined by your physician or certified athletic trainer through special ligament stress tests. When a ligament is injured, fibers within the tissue are torn. This results in a decrease in strength of the structure, as well as possibly stretching out the ligament. When this occurs, more movement within the joint is possible. Stress tests to determine the severity of the damage to the ligament are measured by the amount of motion at the joint, as well as how the ligament feels at its end range (end feel). Grade I involves tearing of a small amount of ligament fibers, with very little extra motion at the joint. There is also a solid end feel with the stress tests, showing that the ligament is intact. Grade II sprains involve tearing of about half of the ligament fibers, give or take. There may be a "mushy" or soft end feel when the ligament is stress tested, and there is more available motion at the joint during testing. Grade III sprains involve tearing of more than half of the ligament fibers, or a complete tear of the ligament. There is an "empty" end feel, and a significant amount of increased motion during ligament testing. The severity of strains is also often measured on a 1-3 scale. 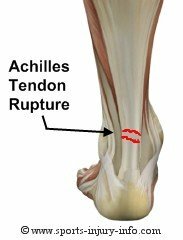 While not as easy to determine, several factors help to measure the damage to the muscle or tendon. This includes pain, loss of strength, loss of function, and possible deformity of the muscle or tendon. Grade I strains involves very small tears to the muscle fibers, and is associated with pain during contraction of the muscle. Grade II strains involve tearing of many more muscle fibers, and pain levels are significant with muscle contraction. There may also be a small area of the muscle that feels abnormal when palpated or touched. Grade III strains involve a complete rupture of a muscle or tendon, with significant pain and swelling, and possibly a visible defect in the muscle. The best treatment for sprains and strains is to follow the R.I.C.E. principles of injury treatment. Depending on your pain levels, amount of swelling, or feelings of instability, you should seek medical evaluation from your physician or certified athletic trainer. Please remember that the information on these pages is meant to help educate you regarding common sports injuries, and should not take the place of sound medical advice from a licensed physician or certified athletic trainer. 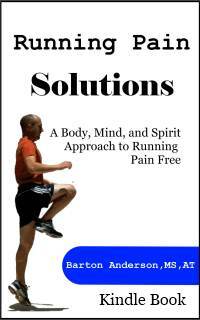 If you are in pain, then the best course of action is generally to seek medical advice. Use the information on these pages to answer your questions, but go see your family physician or certified athletic trainer.